If you have been arrested for battery or have had battery charges filed against you, Chambers Law Office is here to help. Chambers Law Office was founded by Julie Chambers, a former Marion County deputy prosecutor. She has experience both as a defense attorney and as a prosecuting attorney and she has handled battery charges on both sides, giving her unique insight into the criminal justice system. At the most basic level, battery charges are considered a misdemeanor if it is alleged that the accused touched another person in a rude, insolent or angry manner or with bodily fluid. If no injury is alleged, the offense is a Class B misdemeanor. If injury is alleged, which can be simply a complaint of pain, the offense is a Class A misdemeanor. A Class A misdemeanor carries a possible penalty of no jail days and no probation up to a maximum of one year in jail and/or one year probation and up to a $5000 fine. (See I.C. 35-42-2-1). Battery is a Level 6 felony if it results in moderate injury, is committed against a public safety official, is committed against a child less than 14 years of age or is committed against a family member in front of a child less than 16 years of age. 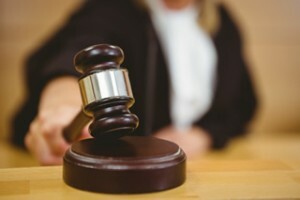 Additionally, if battery by bodily waste is alleged and the accused knew or recklessly failed to know that the bodily fluid or waste placed on the other person was infected with hepatitis, tuberculosis, or HIV, the offense is a Level 6 felony (or a Level 5 felony if the other person is a public safety official). Battery charges may also be filed as a Level 5 felony in some circumstances. For example, if the offense results in serious bodily injury to another person, the offense is committed with a deadly weapon, the person has a previous conviction for battery against the same victim, or the offense results in bodily injury to a public safety official, among others, it may be enhanced. Finally, battery charges may be filed as Level 4 through Level 2 felonies if certain specifications are met, such as if it results in serious bodily injury to an endangered adult (Level 4), if it results in serious bodily injury to a person less than fourteen years of age if committed by a person at least eighteen years of age (Level 3), or if it results in the death of a person less than fourteen years of age if the offense is committed by a person at least eighteen years of age (Level 2). See Misdemeanor and Felony Sentences for information on possible sentences for misdemeanors and felonies. As a former deputy prosecutor, attorney Julie Chambers brings unique experience to her clients and the cases she handles. She understands how a prosecutor may approach a battery case, which can help in preparing for trial or negotiating a plea offer. She strives to provide affordable and personal representation to each client and she will take the time to listen to your concerns and questions and explain each step of the criminal process. If misdemeanor or felony battery charges have been filed against you or a loved one, call Chambers Law Office today to speak with a lawyer!